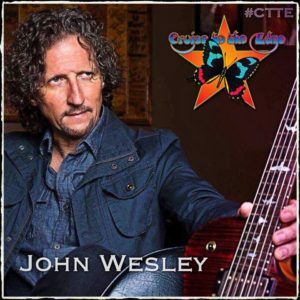 John Wesley and his band have joined the lineup to perform on this year’s Cruise to the Edge! The cruise from Tampa, Florida to Cozumel, Mexico starts February 7, 2017. To kick off the cruise, John will also be performing at the Pre-Cruise party, hosted at Ferg’s Live Tampa on February 6, along with John Lodge of The Moody Blues. Other performers on the cruise include Yes, Kansas, Steve Hackett, Mike Portnoy, John Wetton, and many other progressive rock artists.